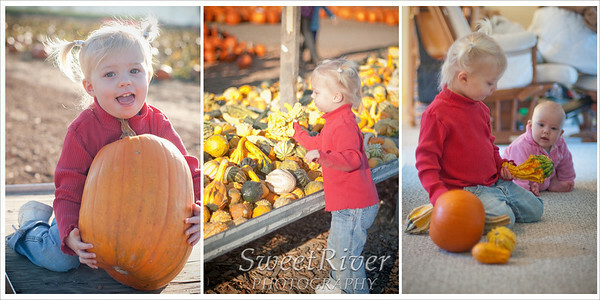 What do you get when you mix a two year old and a field of pumpkins? Perma-grins. 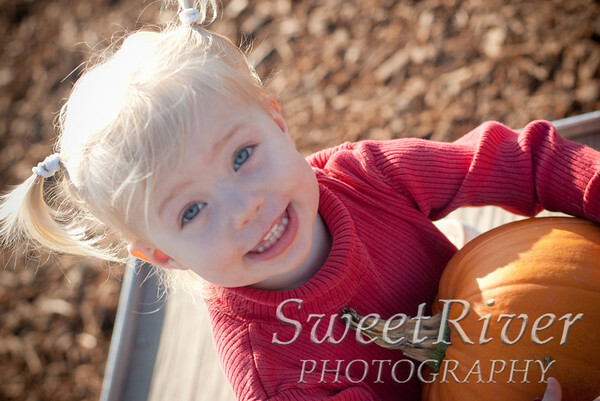 We finally went to a pumpkin patch this year. I spent the whole time trying to remember why I could only think of Bella as a six month old. Then I remembered that we did go pumpkin picking last year, but I was full into the sickening pregnancy haze that I am amazed I even took photos. This year I tried for a family outing. 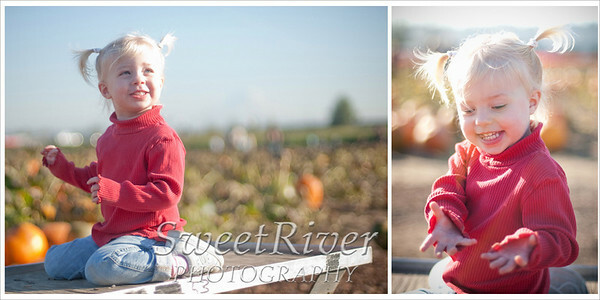 How cute would it be to compare Lillia and Bella at the same age in a pumpkin field! And, gasp, a potential family photo for once? But instead we did it as a Mommy Date. Bella was much in need. The golden hour was around and beautiful families were everywhere. 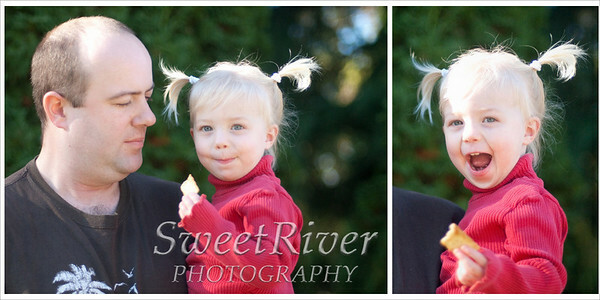 I had to resist the urge to stop every other family to offer portraits. 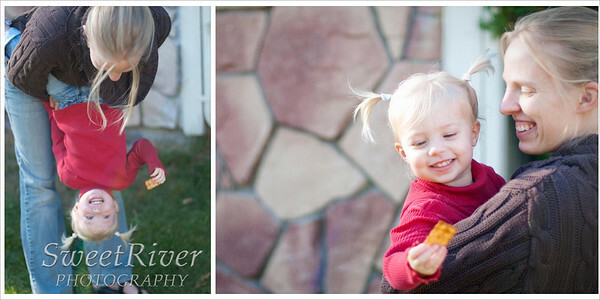 This is why everyone needs a family photographer, seriously! So next year, when you start shuffling through your old photos, you won't come across unrecognizable faces squinting into the sun next to giant cardboard pumpkin cut outs. 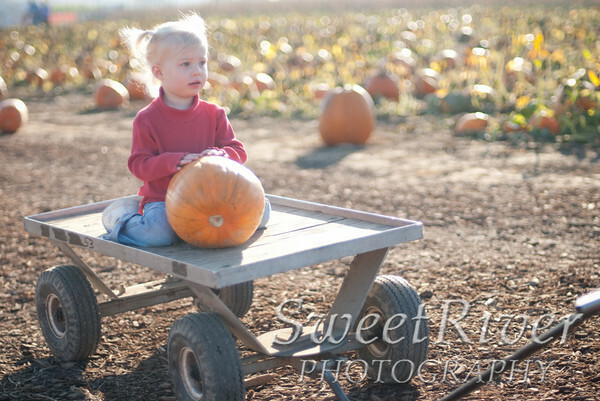 You'll have memories of the way your baby (I'll milk that word as long as I can) saw a field of pumpkins, put out her arms and said, "Want hoo? Pleeaaaz?" because she wanted to hold each and every one. And how tiny she looked in the field when I finally convinced her to get off the Whhheeeeeeee! for two seconds. And the way she filled her arms up with gourds. And the way she stared at the various families, soaking them up, studying them in detail as she always does when we go out. And of course the way she played with her new friends all night as Lia looked on in amazement. Those are the memories I can't let go.